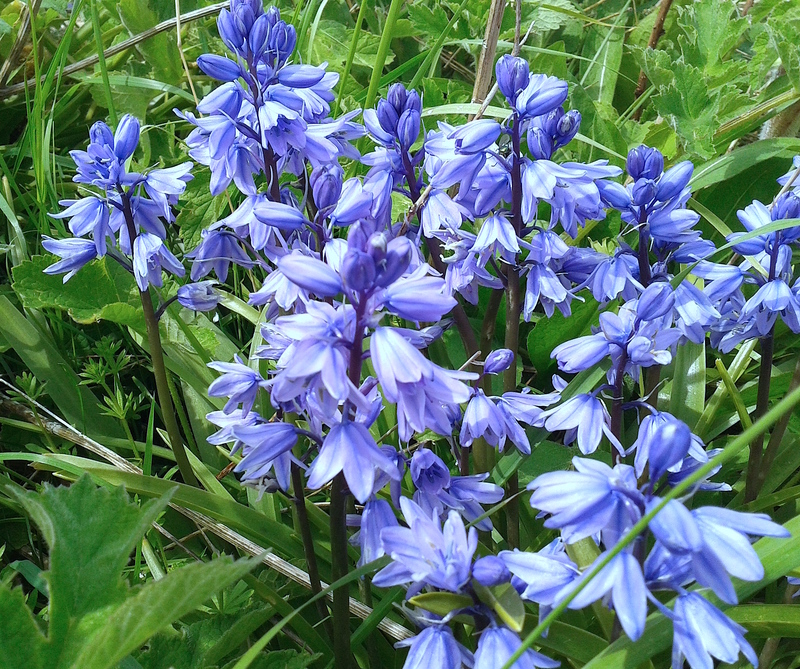 In most parts of Cumbria, the ‘usual’ bluebell along roadsides will often not be the native bluebell, Hyacinthoides non-scripta, but the hybrid H. x massartiana, derived from cultivation by escape or dumping of garden waste. 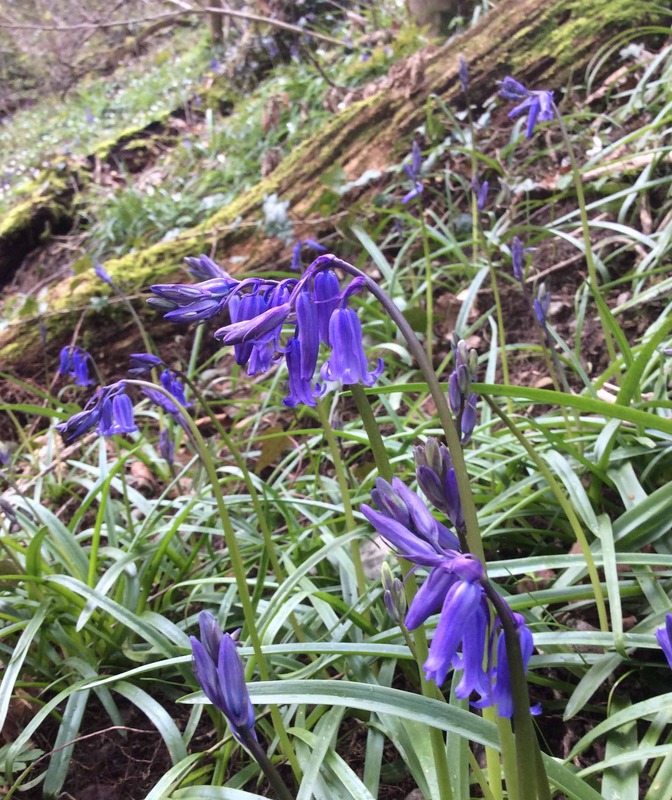 We are still very much in need of strong records of the hybrid – please try to spend time in spring looking at your local bluebells – looking at them and trying to work out just what you have! 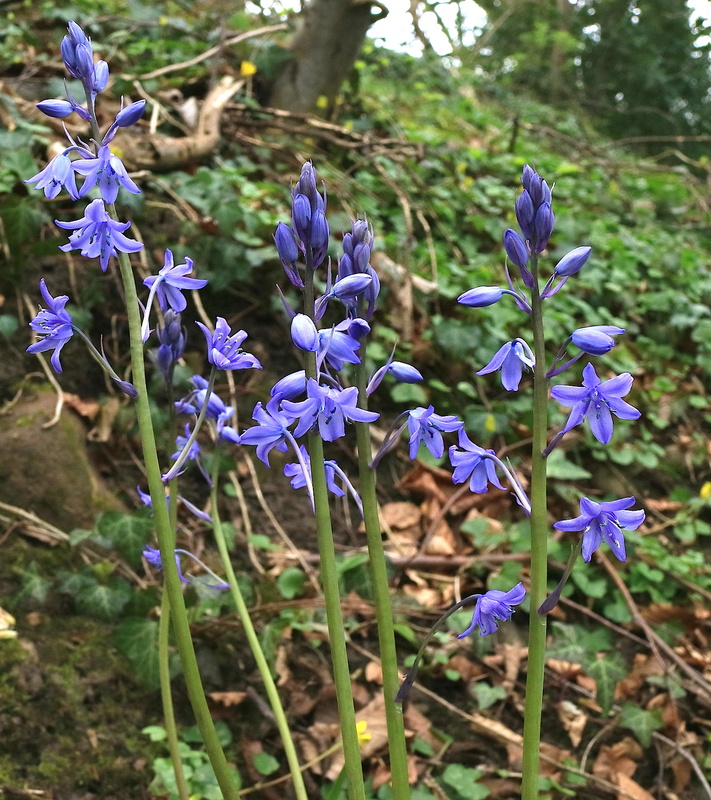 Native bluebells will occur on road- and lane-sides where they have ‘leaked out’ of ‘bluebell woods’, and perhaps in hedgebanks where these are of long-standing. 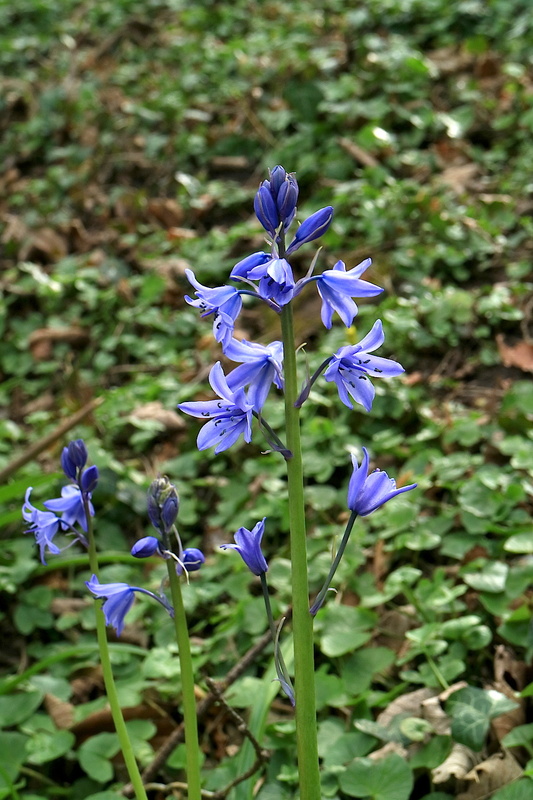 The closer to habitation, and the younger the soils and more disturbed the situation, the more likely the bluebells are to be hybrid. If the two grow in proximity, then back-crossing is possible, since Stace says the hybrid “is intermediate in all characters and fertile, forming a complete spectrum between the parents and often naturalised in the absence of both”. … but see the comments below about variability in the hybrid! 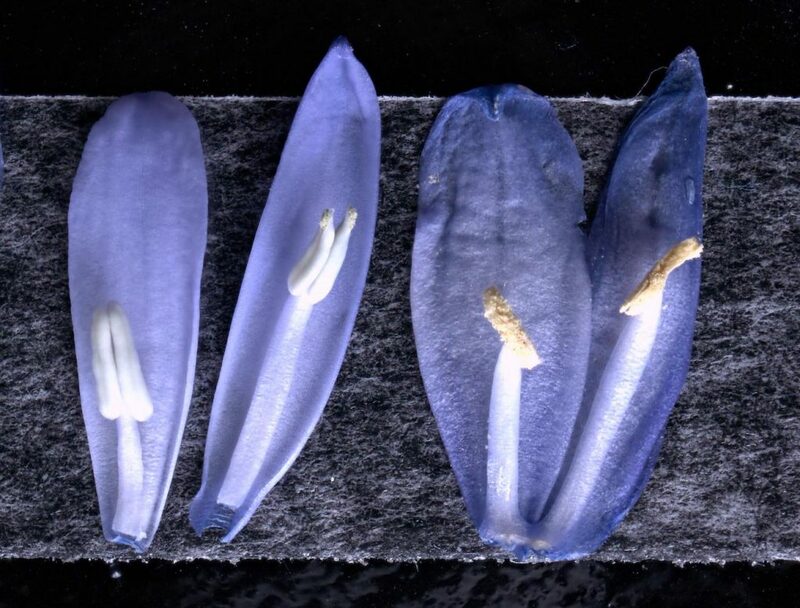 Can you find any of the other parent, true Spanish Bluebell, H. hispanica? Note that A Flora of Cumbria admitted no examples referable to this in the survey period, as all ten samples submitted as this for an expert opinion proved to be hybrid! 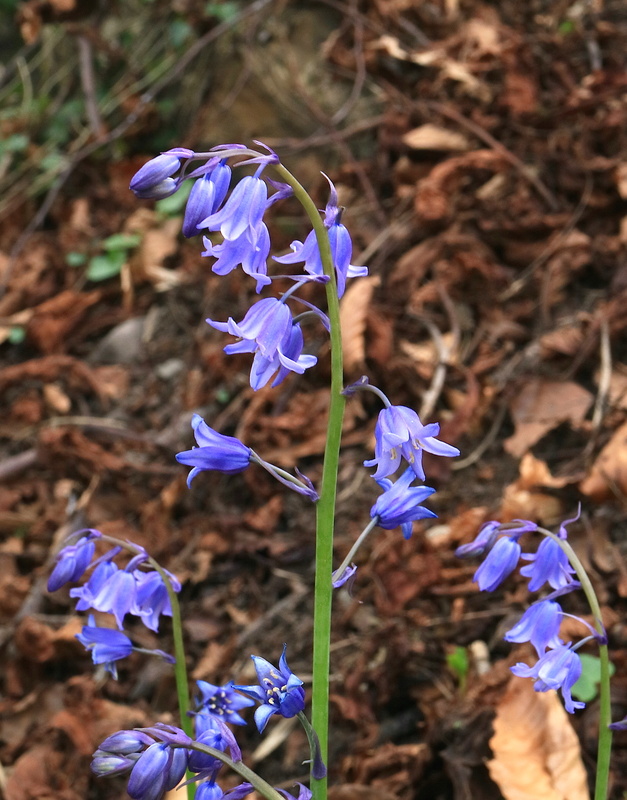 The best-marked examples of Spanish Bluebell (such as the garden plant below) are strikingly different from the native Bluebell, and can be separated from most of the hybrids easily enough. Look how the flowers gape, and are angled upwards, and the petals are wide, and almost flat, with hardly any outward curve, even when the flower is mature. 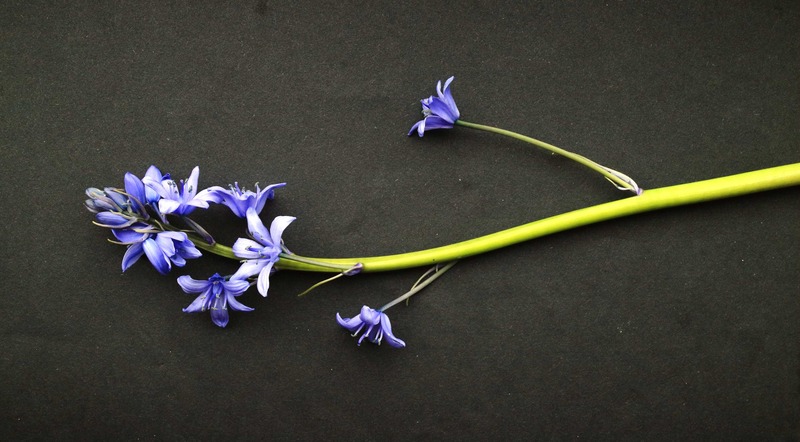 The following are of two different forms which appear referable to Spanish Bluebell, and are briefly discussed below. 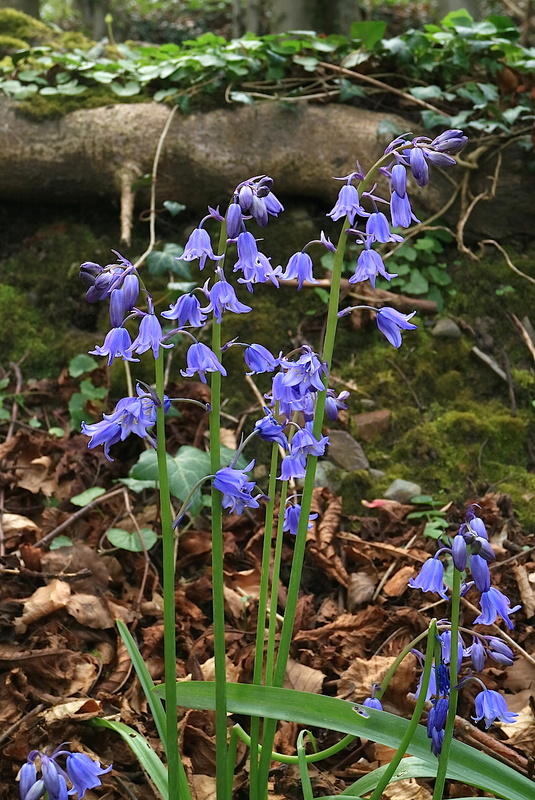 Geoff Lines’ photo above seems to me to be a good candidate for Spanish Bluebell. 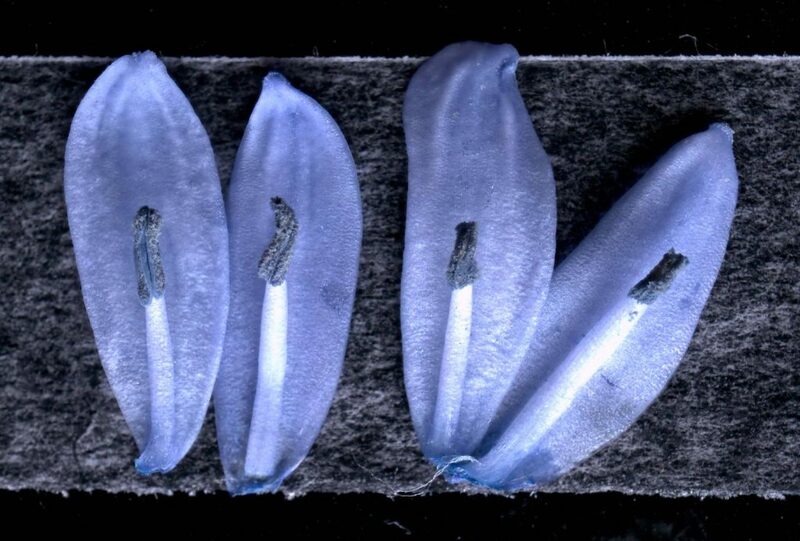 Note how even in the older flowers, low down in the inflorescences, the tepals are only slightly recurved, and in many flowers remain +/- flat, and even slightly incurved in some. 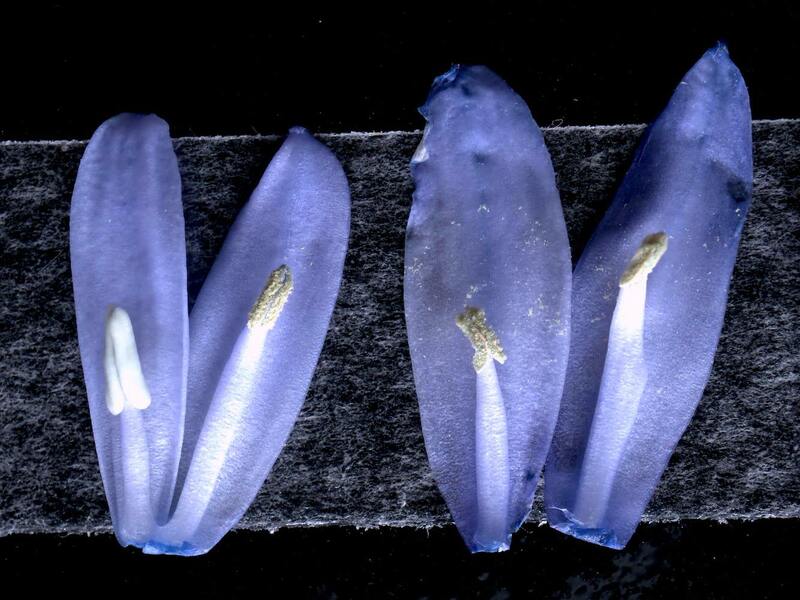 In the middle of the inflorescences, the flowers at maturity gape open into wide bell shapes. That is striking different from the ‘tubular’ flowers of the native plant. 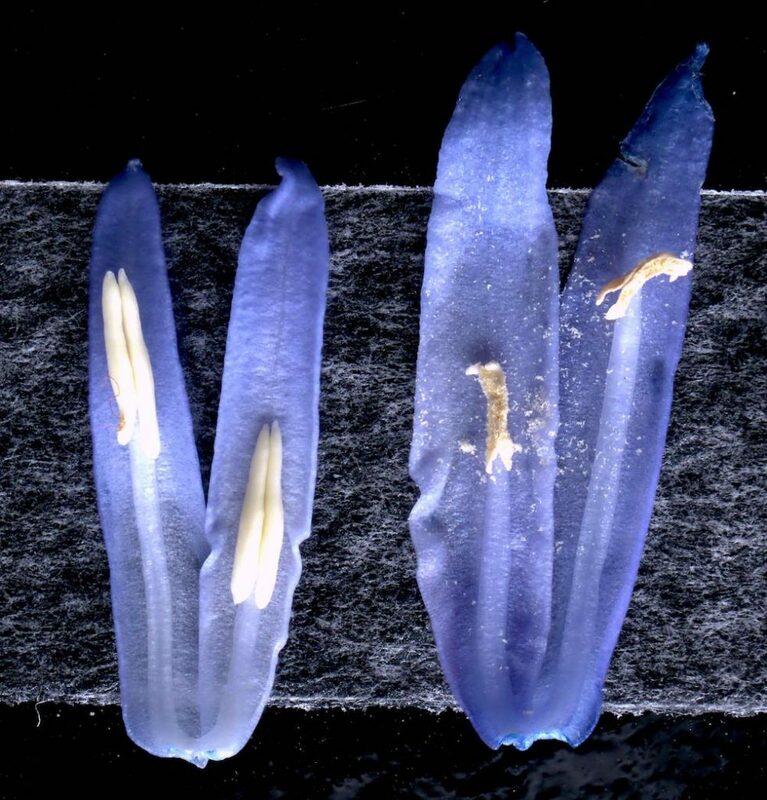 The flowers are somewhat paler than typical native bluebells, and the young anthers are deep blue (already becoming paler in older flowers as pollen is lost). 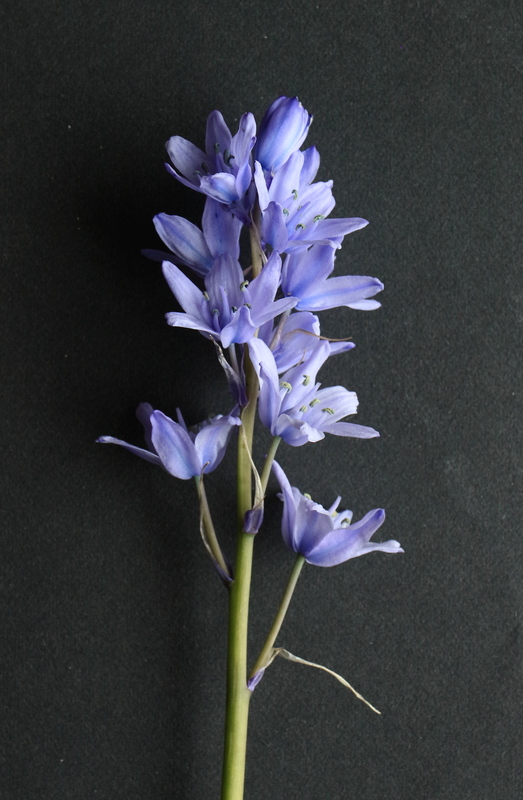 The flowers are disposed around the stem, much as in Hyacinth, not one-sided, and when mature are only slightly drooping. In the other two photos, from Wetheral, the flowers gape convincingly, although the tepals are rather more recurved with age, and the leaves were not particularly wide (up to 20mm), although well within the range for this species. The filaments in the outer tepals were inserted well below the middle of the segment (as in the following photo). Although pure forms of the two species may be readily separable from each other on a number of characters, there is a major stumbling-block here for the incautious! 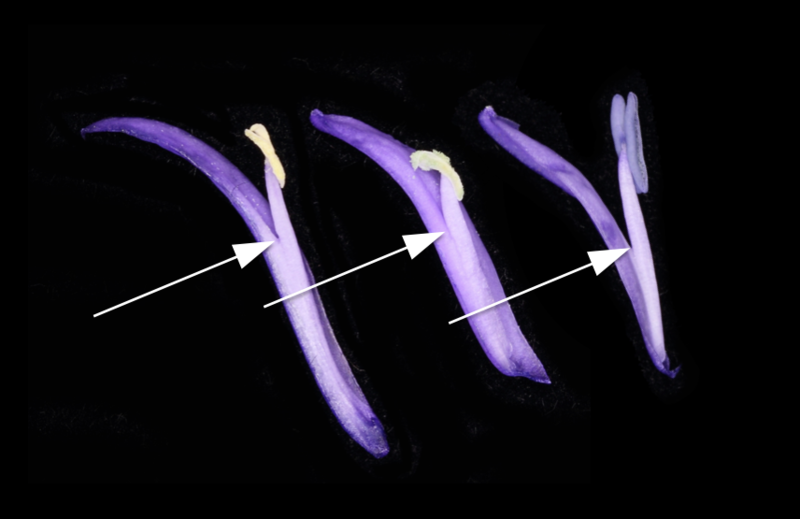 If through backcrossing a “complete spectrum” exists, then no dividing-lines exist to separate hybrid plants from the species at either end of the spectrum! Does one then apply strict terms of reference, so that you only admit plants into one or other species if they agree in every respect with the definition, and regard all others as hybrids? Or do you take a somewhat laxer of view? – in which plants with the general appearance of the species, albeit with one or two characters at variance, or at least ambiguous, are “allowed in”. This approach at least covers the (very common) situation in nature where species are somewhat variable. But then you overlook signs of ‘contamination’. While it is true to say that this will be a matter of opinion, opinion is more valuable if backed by a great deal of experience… so get out there and get looking! There is no easy answer here, but suffice it to say that the longer one has been botanizing, the greater the tendency to treat one’s own determinations with cautious scepticism! 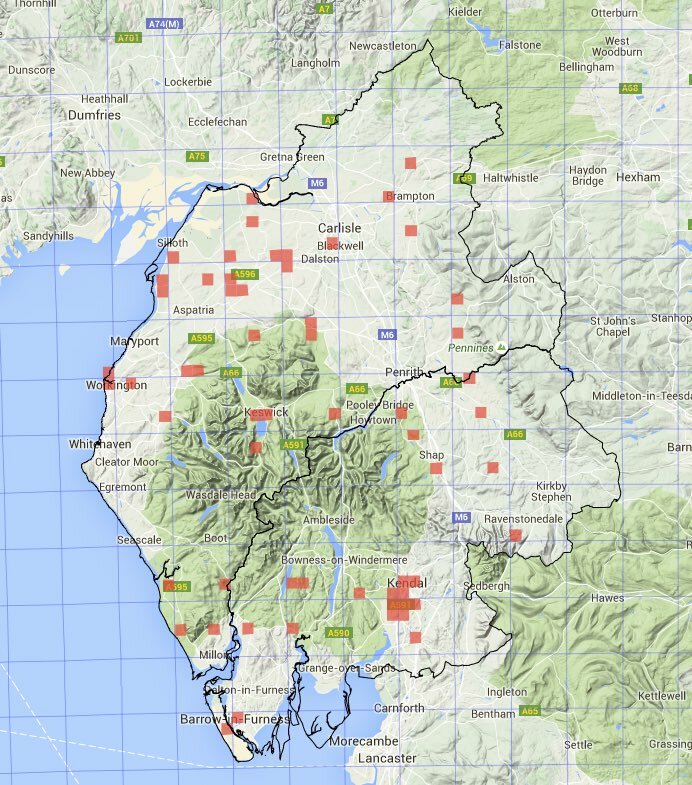 Submit records of the hybrid – just one localised/dated record per 1 × 1 km square would suffice, but be as thorough as you like! Do you have hybrid swarms – variable plants with a range of characters between the species? 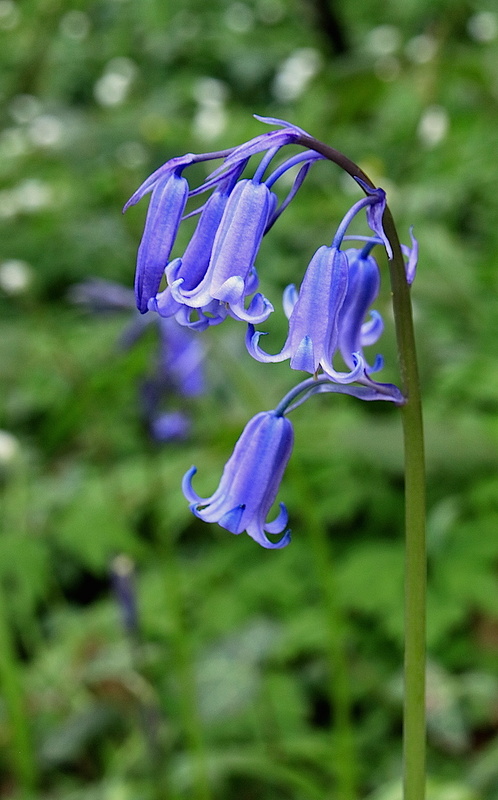 In the ‘bluebell woods’ can you see signs of ‘contamination’? – or are you seeing mere natural variation in aboriginal sites? 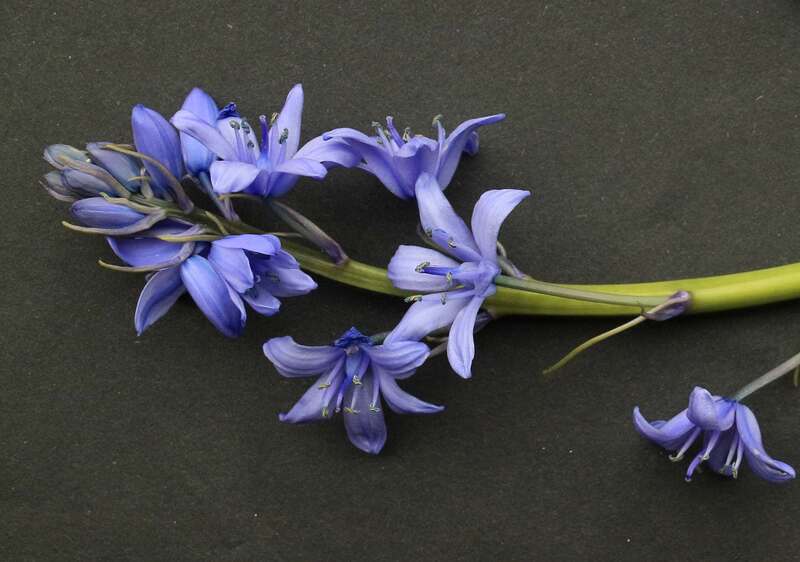 Can you find any definitive Spanish Bluebell? So what are the critical characters? The picture is not as straightforward as is suggested in many available accounts. Here are some links which may prove useful, but be aware when differences arise between the different accounts. I guess most of these accounts, when referring to the hybrid, are referring to the F1 – i.e. direct – hybrid, or something close to that, but there is little help in deciding about species-limits. Have you found other good sources or discussions? – let us know. Thanks for sharing this – very informative. Thanks! – very pleased it’s been useful.